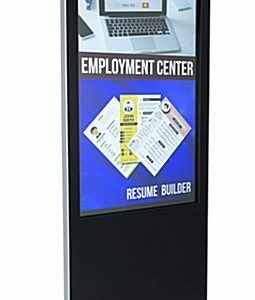 We are now offering 43 Inch Touch Screen Kiosk Rentals. They are designed to be a all-in-one free-standing 43 Inch rental solution. Our highly reliable 43 Inch Rentals offer a cost-effective solution ideal for meetings, general session, trade shows, conventions and more. The integrated Media Player delivers flawless Full HD 1080 with 60 single video decoding.